Bolted cement silo is a type of large size of cement silo. Bolted cement silo has special installation that use bolts to connect each piece of cement silos. Bolted cement silo is designed to solve problems that transportation from one site to another site and packing problems of export. 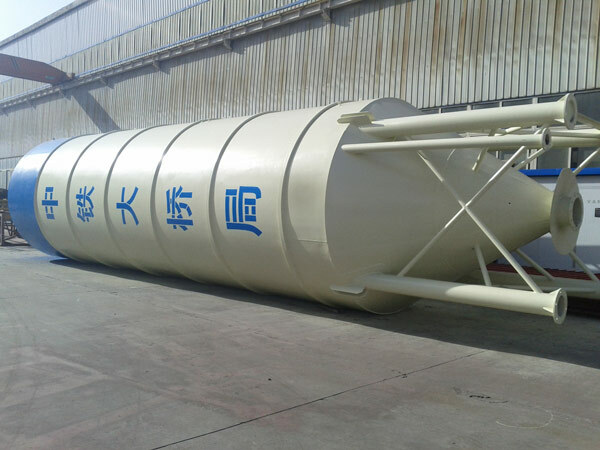 Bolted type cement silo is an important accessory equipment of concrete batching plant. 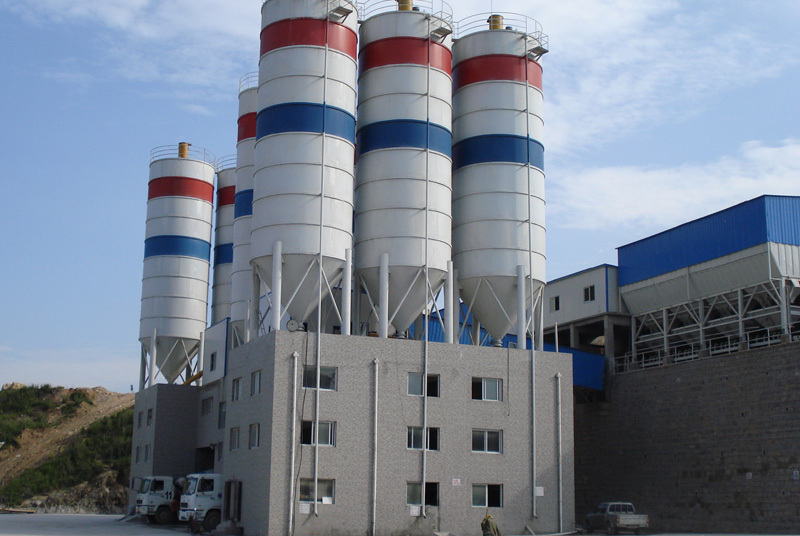 We are a professional cement silos manufacturer in China. We can supply various tons of cement silos, such as 30t, 40t, 50t, 60t, 80t, 100t, 150t, 200t and 300t, etc. 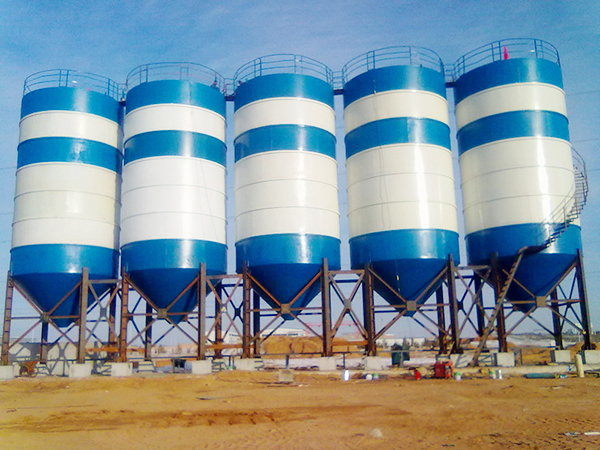 At the same time, we also customize cement silos according to requirements of customers. 1. Bolted cement silo we supplying can be used to store cement, fly ash, grain and other bulk materials. Bolted cement silo we supply has advantages of easy operation, raining proof, moisture proof. 2. 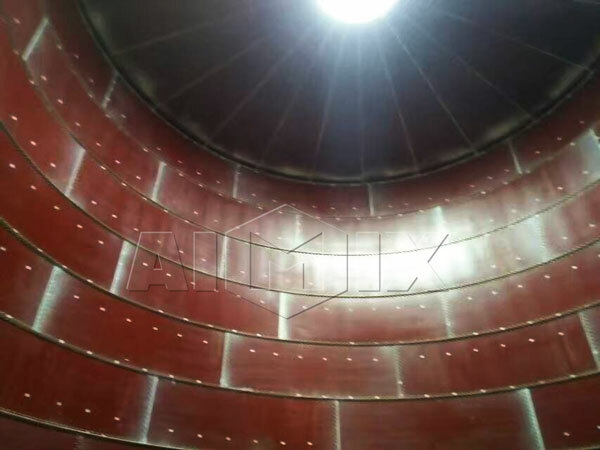 The whole steel of bolted silo is firmly bonded, non-delamination, corrosion-resistant and longer service life. 3. Bolted cement silo can be used for storage of materials in construction, powder, chemical, medicine and other industries. 4. 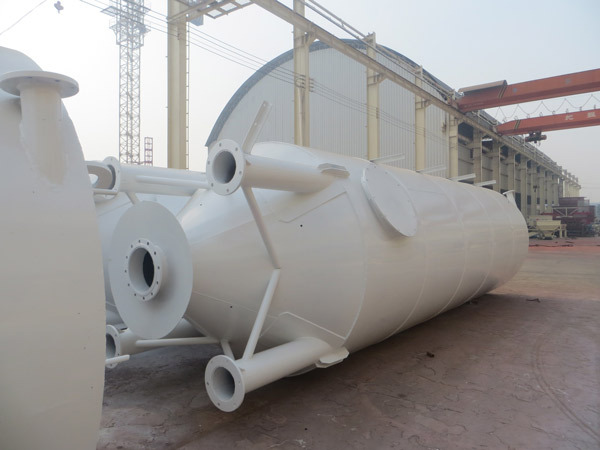 Our bolted silos can effectively prevent cement loss and reduce dust pollution in urban air. 5. Bolted cement silo for sale has small floor area, and economic usage. 1. To visit the factory. It is a wise way for customers to visit bolted cement silo manufactures factory by themselves. You can observe the real strength of the cement silo suppliers on the close sight. 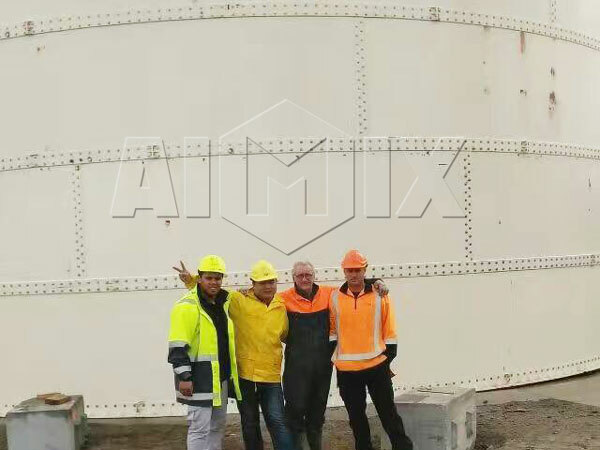 We aimix group is one of largest cement silo manufacturers in China. There are hundreds of customers having visits once year. If you are interested in our good quality bolted cement silos, you can contact us, we will arrange staff to receive you and give you detailed instruction of cement silos. A good cement silo manufacture certainly has a perfect service system. It is true that a good reputation is an imperative condition if cement silos suppliers want to go far on its way of business. Aimix group is a integrative cement silo manufacturer that combine manufacturing, selling and servicing into one unit. We have rich experience in service. 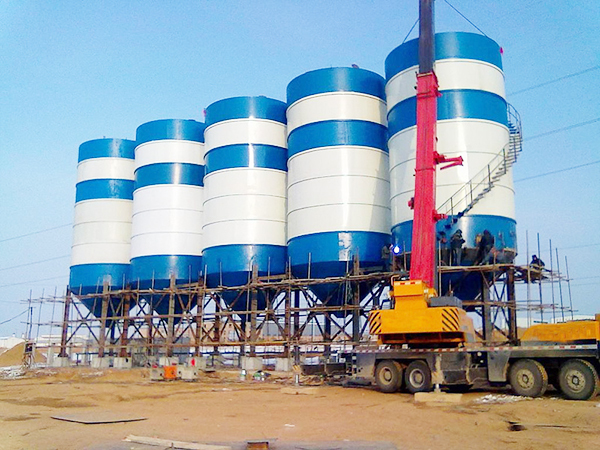 We have helped more than 500 enterprises set up their bolted cement silos. It is necessary for silo suppliers to master mature advanced technology. Advanced manufacturing technology can make sure the premise of good quality of bolted cement silo. Aimix group has more than 30 years’ manufacturing experience. We have researched and absorbed the most advanced manufacturing technology of bolted cement silo from home and abroad. Bolted cement silo we supply can stand the test of time and customers. Maybe it is a hot topic that customers want to get answers. Then how much does a bolted cement silo cost to build? It is not a fix cost to build a bolted cement silos. 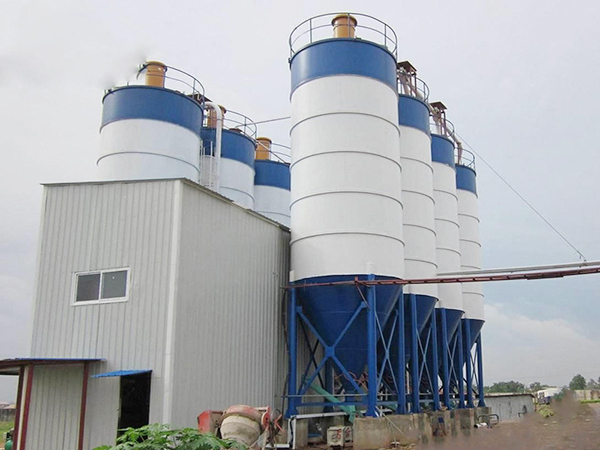 There are various types of cement silos. And silo construction cost is distinguished from different types. The bolted cement silo cost is ranged from less than$1,000 to?more than $2,ooo. 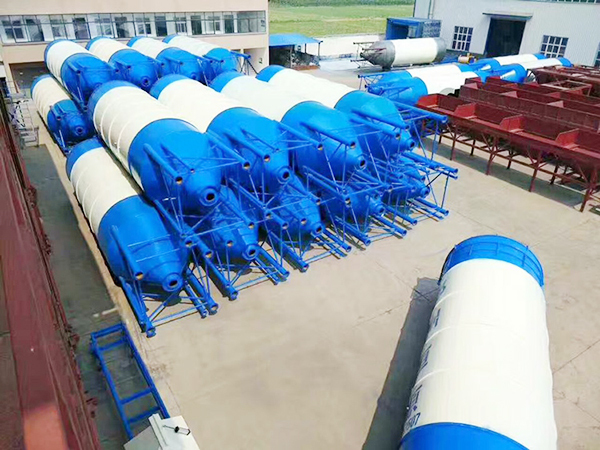 Customers who want to get specific cement silo price can leave us inquiries on the website or send emails to : market@concrete-mixer.net. We will send you the most favorable cement silos price list to you immediately. 1. Famous brand, reliable and safe to choose. We have first class of manufacturing technology and the appearance of bolted cement silo is attractive. 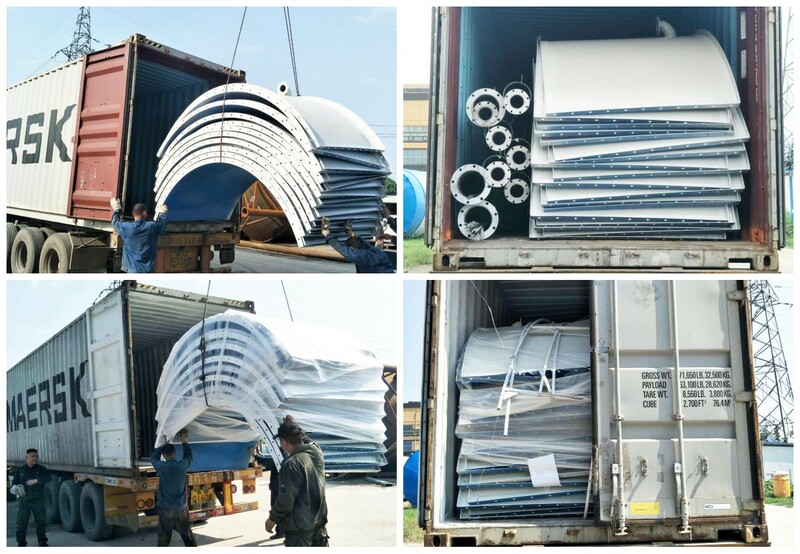 Bolted cement silos from aimix group have been exported to more than 30 countries. Moreover, more and more customers from many countries have built deep relationships with us. 2. Wide application and easy operation. Bolted cement silo is very suitable for storing grain, cement, fly ash and other kind of bulk materials. 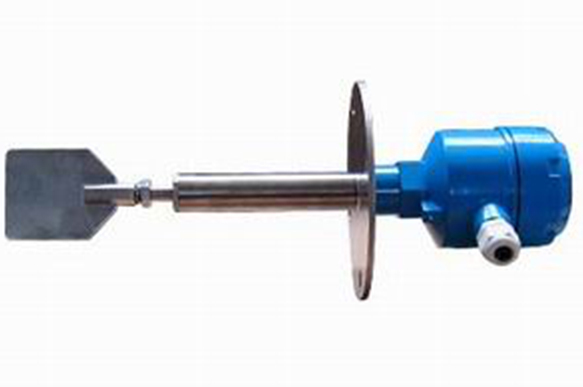 There are level indicator systems equipped on the body of bolted cement silos, which could indicate the level place of materials. 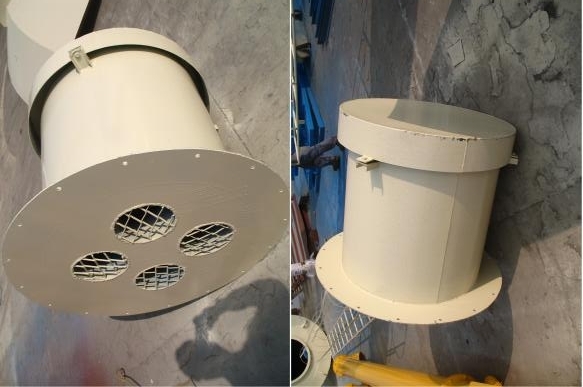 At the same time, bolted cement silo have installed dust collectors to avoid leakage of materials and broken arch structures to make sure smooth discharge of materials. 3. More environmental friendly and strong seal capacity. Whatever how big the size of bolted cement silo, it could be transported by containers, which could save a lot of cost of transportation. Bolted cement silo is convenient to disassembly and assembly which could realize recycle usage. 4. Perfect after sale service. 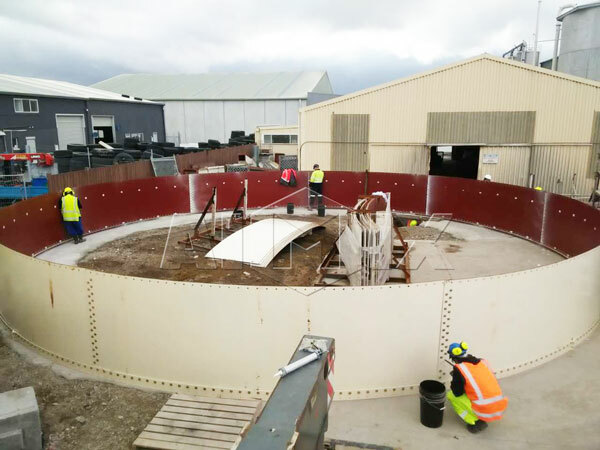 We can offer customers free installation service and test service of bolted cement silo. One year warranty of maintenance service and lifelong afters-sale service. We have regular visit of maintenance for four times of a year. Besides bolted cement silo for sale, we also supply welded type cement silo for sale and cement storage silo, etc. If you have any question about bolted cement silo, please leave us your messages on the website, we will give you satisfied reply.